Hundreds celebrate 10th Anniversary of 26extreme Mourne Way Marathon Events! Peter Cromie (Roe Valley CC), Joanne Curran (BARF), Stuart Paulin (Unattached), Sinead Murtagh (Newcastle AC), Conor Reid (Ballymena Runners) and Martsje Hell (North Belfast Harriers) were the star performers as local events company 26extreme hosted the 10th annual Mourne Way Marathon Events (Saturday 9th June 2018). 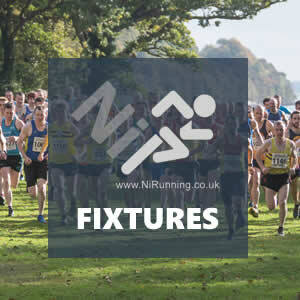 The exciting programme of events, which offers competitors the choice of an ultra-marathon (52 miles), marathon, half marathon and 10k, attracts hundreds of athletes to the stunning Mourne Mountains on an annual basis. The tough, but scenic courses cover the foothills of the towering mountains, with the event headquarters based at Kilbroney Park in Rostrevor; this is were all races finish. In the 52 mile ultra distance event, the always impressive Peter Cromie led the way and despite a challenge from Anthony Whelan, secured a relatively comfortable victory in 7:41:11 (1st place). Anthony followed in 7:49:02 for 2nd place, before David Jones completed the men’s podium in 8:21:21 (3rd place). BARF athlete and experience ultra-runner Joanne Curran continued her return to full fitness with an excellent outing. Joanne clocked 9:26:52 for 1st place int he ladies race and 10th place overall. Aoife Callan took the runners up prize in 10:42:15 (2nd place), with Martina Kwaschick securing 3rd place in 10:50:00. In the marathon, Stuart Paulin returned to competitive action with a win. 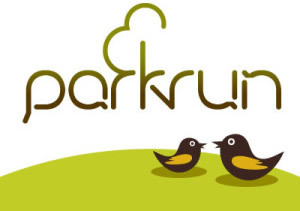 The talented off-road specialist completed the Donard Park to Kilbroney Park route in 3:28:39 (1st place). Keith Lane took 2nd place in 3:42:35, with Simon Monds running 3:48:06 for 3rd place. Arguably the most impressive performance of the day came from in-form Newcastle AC athlete Sinead Murtagh. Sinead won the ladies marathon in 3:51:26 (1st place), which saw her take an outstanding 4th place overall. East Down AC’s Niamh Kellett also produced a notable performance, recording 3:58:29 for 2nd place in the ladies standings and 7th place overall. Mourne Runners star Karalee Porter completed the top three in 4:22:45 (3rd place). In the half marathon, Ballymena Runners athlete Conor Reid ran the race of his life to claim victory in an excellent 1:26:42 (1st place). East Antrim Harriers’ John Neill narrowly missed a sub-90 minute finish when crossing the line in 1:30:01 for 2nd place, while Duddy Parr clocked 1:31:39 for 3rd place. Northern Ireland international Martsje Hell won the ladies 13.1 mile race in 1:36:49 (1st place), which secured an 8th place finish overall. Always impressive Elizabeth Wheeler followed in 1:42:30 for 2nd place, before Catherine McLaughlin crossed the line in 1:51:48 for 3rd place. In the associated 10k race, Noel Gallagher, Sean Russell and Johnny Crutchley all went under the 40mins to secure top three places, with Noel leading the way in 37:22 (1st place). Sean recorded 39:04 for 2nd place, with Johnny following fifteen seconds later in 39:19 (3rd place). Ashlene Mussen won the ladies 10k in 42:46 (1st place), with Niamh Aspell (43:43) and Lisa Whitcroft (44:59) claiming 2nd place and 3rd place respectively. 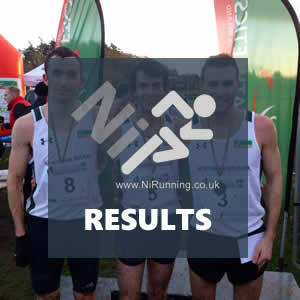 Aaron Sexton wins sprints battle on an excellent day of competition at NI & Ulster Championships! Julie Murphy secures top honours at Stunnerz N Runnerz 5 mile Road Race 2018!